With large, comfortable, modern rooms, the Reef View Hotel offers a perfect getaway for couples, families or groups of friends. You’ll fall in love with the Reef View Hotel for their spacious, comfortable rooms and with most rooms boasting incredible sea views. 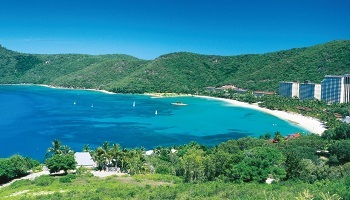 The Reef View Hotel offers stylish and family-friendly Hamilton Island accommodation with all of the Reef View Hotel’s rooms featuring private balconies. Every room offers a stunning view - either out over the sparkling Coral Sea, or the island’s lush tropical gardens. 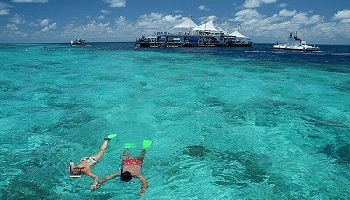 Most importantly, the Reef View Hotel is close to everything your heart will desire on Hamilton Island. Located directly opposite Catseye Beach and is close to the majority of the island’s restaurants, activities and entertainment. 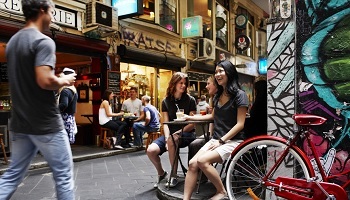 Blessed with sunny days and plenty of action, Brisbane is known for its uncomplicated, laidback and fun-loving atmosphere. While visiting Brisbane, if you’re sitting inside, you’re doing it wrong! Brisbane’s year-round subtropical setting is best enjoyed with the grass beneath your feet and the sun on your back. 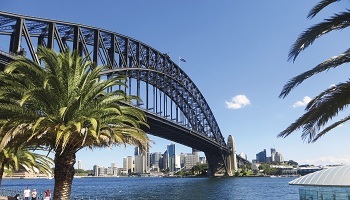 After relaxing on Hamilton Island, Brisbane is the ultimate family destination with amazing family experiences such as Steve Irwin’s world famous Australia Zoo or the iconic dolphin feeding experience at Tangalooma Resort. ACCOMMODATION - Spacious, comfortable and with most rooms boasting incredible sea views, the Reef View Hotel offers stylish and family-friendly Hamilton Island accommodation. 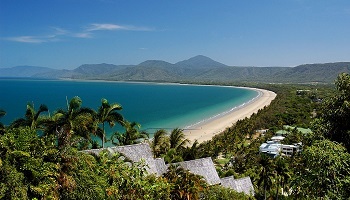 Relax on Hamilton Island or consider adding one of our boutique tour options, speak with an Aspire expert. ACCOMMODATION - Discover a contemporary, comfortable and elegant destination at The Sebel Brisbane hotel. Here, in the heart of the Brisbane City CBD just steps from the Queen Street Mall shopping precinct, enjoy well-appointed accommodation and amenities that include a recreation deck with heated pool, sauna and gymnasium. 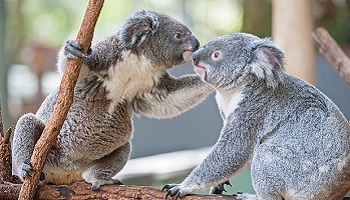 Whether you’re snuggling up to baby koalas or feeding bouncing kangaroos, the Australia Zoo—home of the world-famous Crocodile Hunter Steve Irwin—delivers a wildlife experience unlike any other. The popular Bindi’s Bootcamp lets excited kids burn off energy while testing their wilderness skills, and the Tiger Temple puts travelers right up close to the Sumatran felines. There’s even an African savannah complete with rhinos, giraffes and cheetahs, too. Guests can participate in a Birds of Prey experience, or get up close with Outback favorites like the dingo, tortoise, wombat and lemur. 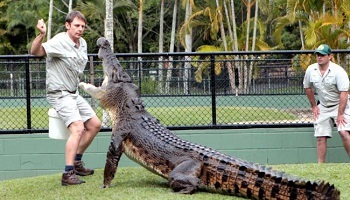 Conservation is key at Australia Zoo, with endangered species breeding programs, field study and habitat preservation. The zoo is managed by Irwin’s family members, whose personalities are a major part of the zoo's continuing attraction for visitors. 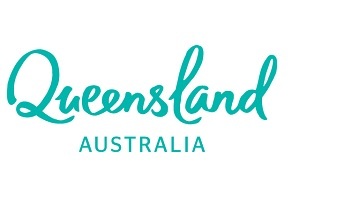 Whether it's wandering through the exhibits, taking a tour, or settling in for one of the zoo’s spectacular shows, there’s plenty for families to do, see and explore at the Australia Zoo. 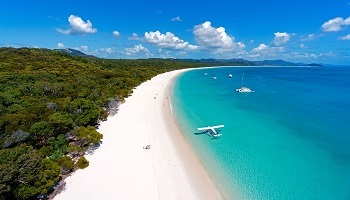 Escape to beautiful Moreton Bay with a scenic cruise that in just over an hour will bring you to the crystal clear waters and white sandy beaches of Tangalooma Island Resort. 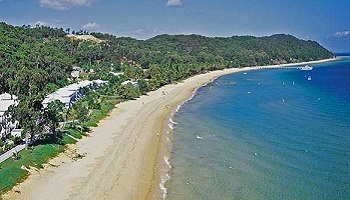 Tangalooma's wide range of resort facilities caters for everyone and offers guests of all ages the perfect destination for unique adventure, education, or nature based experiences in a truly relaxed environment. 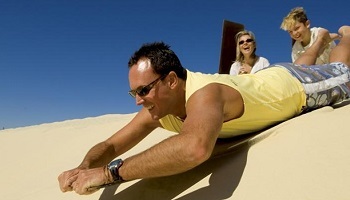 From sun up to sun down Tangalooma is a haven for those who want to relax and have fun, and with over 80 activities on offer there is something for everyone to enjoy. But the highlight of any stay at the resort is the opportunity to closely interact with nature. 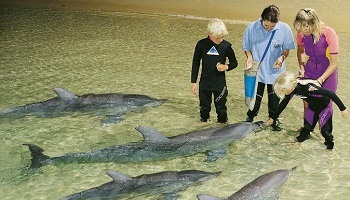 Be enchanted by the playful antics of the wild dolphins that visit Tangalooma jetty each night. Echo, Nari and the rest of the family are always full of chatter and love to show off. Hand feed them as they gather at the shore or watch from the jetty, either way the experience is unforgettable!